We are a family owned licensed business who have been creating, renovating and delivering quality designed renovations for over 20+ years. We are very passionate about our work and take pride in what we do because it is what we enjoy. We deliver our projects using premium quality products and workmanship providing only the best for our clients Knowing this comes with a cost, we provide solutions to suit every budget and pride ourselves of extreme integrity and quality. Our highly skilled team will provide you with a number of options to ensure you are getting the best value for your money. Where there may be challenges due to size limitations, our experienced team will give you the best advice on how to make the most with the space you have and can renovate where necessary. You will have all the ingredients necessary to create a true work of art. iBuild Group’s’ team of experts will firstly visit our clients site for a free no obligation consultation, measure and make recommendations to help bring to life your ideas. We will then have a quote prepared which our team members will then walk you through in our showroom where you can visually see the products you have been quoted on. Our extensive building background is what gives us the edge over our competitors. Concept to completion is our objective. Customer satisfaction is our goal. Our boutique showroom offers a visual element to aid in the design process allowing iBuild Group to be the one stop shop when looking to tackle your home improvement needs. Industry leader and multi-award winning Turrell Building Services was established in 1993 and has since continued to create innovative and exceptional indoor and outdoor living spaces and places that people just want to "Live". Managing Director and Creative Designer Neil Turrell, together with his dedicated team, share in a vision and passion of building lifestyle dreams through excellence in design, development, construction and management from concept to completion. Located in "The Hills District", the heart of Sydney's North West, Turrell's entire culture and philosophy is built around the company's founding principles of excellence in building and good old-fashioned service. Turrell specialises in innovative and quality new homes, extensions, renovations and entertainment areas. We also mange any integration required with pools and landscaping. 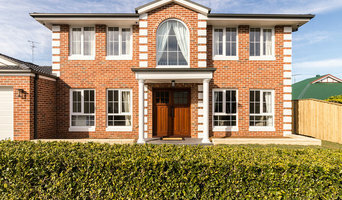 Astor Homes is a well-established, family run residential construction company in Sydney NSW. For years, we have been helping families turn their dream homes into a reality. We operate with a network of architects and designers to help you create a home that you love, and that will be completed on time and within budget. We have the knowledge and experience to deliver on what we promise. Over the years, we have completed a wide range of successful projects and we are continuing to expand and deliver great results. An award winning custom home building company who designs & constructs bespoke family homes. Horizon Homes is a boutique builder, who limits the number of builds we do each year to ensure that every project gets the time and attention needed to craft a high-quality, intelligently designed dream home. Our individualised approach will ensure you’ll enjoy the design and building journey. When you engage Horizon Homes, we help with every aspect of your build, from concept design, Council approval, site preparation to construction. We are known for our quality homes built to exacting standards. Our custom designs allow us to create beautiful ‘forever’ homes on irregular, narrow or sloping blocks. We combine our building expertise with our architectural design experience, to create a home that is uniquely tailored to your site, your design brief and your budget. 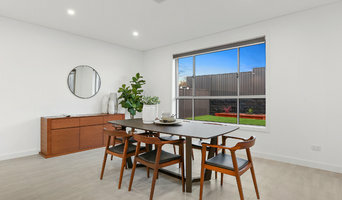 Since its inception in 1998, Nexgen Constructions Pty Ltd has built an enviable reputation within the industry for its work on a variety of architecturally constructed new homes and home renovations. We take pride in our thorough planning, quality workmanship and innovative use of materials & building techniques. This approach has seen Nexgen will a raft of industry awards and accolades. As a winner of Housing Industry Association awards we are recognised by an architectural judging team for outstanding quality and workmanship. Our emphasis on innovation means that Nexgen Constructions is well positioned to address the challenges currently facing the residential construction industry. Our accreditation in the HIA GreenSmart professional program is our clients' guarantee that we're committed to sustainable building. 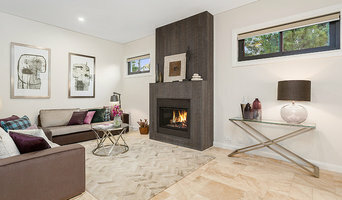 Meadan Homes is an Australian owned and run construction company offering full-service residential building and renovating across greater Sydney. The Meadan Homes team is an experienced and skilled group of people with backgrounds right across the building industry. We firmly believe in offering outstanding, customised service and great value on all our building projects. All our staff are dedicated to supporting you through the design, planning and construction phases of your project, whether it’s construction of a new home, a duplex development, granny flat or renovation. We love completing a project knowing we’ve really looked after the needs of our clients, creating a place which brings joy and will serve your living or investment requirements for years to come. We’re more than your average residential building company. At Meadan Homes, we’re committed to being your specialist partners in a construction or renovating project, from concept to completion. We offer full-service home building, renovations, and extensions - we customise each project to your needs without compromising on quality. We are experts in New home construction, Duplex developments, Granny flats, and Renovations. To The Mil has built a reputation through word of mouth recommendations for excellence in construction, high quality finishes and a meticulous approach to delivering results. We now have over twenty years experience behind us and we pride ourselves on paying attention to the minutia of detail and aesthetic design. We have a great sense of pride in our building work and have instilled this pride into all our subcontractors. We believe we are only as good as our last job. While we have been honoured to win many top building awards, our greatest reward come from the satisfaction of our clients. Through strong relationships with both clients and architects, we seek to make the construction process an enjoyable and creative experience for all involved. McDonald Jones has now been in the building business for 30 years. Since the inception of McDonald Jones back in 1987, we’ve not only raised the bar in the new home industry, we’ve also garnered the respect of our consumers and shone among our peers, winning a host of professional awards along the way. This importance of building a home of the highest standard is only achievable by open two way communication; this is a core pillar at McDonald Jones. If you are looking for professional, honest and reliable renovation work, you have come to the right place! 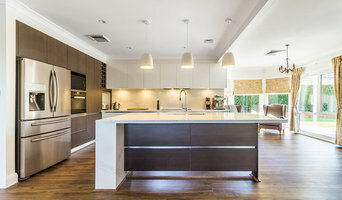 As an Australian family owned and operated company, Alpha Renovations offers quality and professional home renovation services including kitchen & bathroom renovations, interior and exterior remodelling, extensions, custom cabinetry & much more. Established in 1981, Beecraft is a Sydney based company specialising in building, design, landscaping and property management. Have a look at this page for projects that we have completed and stay tuned for more we post. For more posts and information, jump onto our website, Instagram, Facebook, Pinterest or LinkedIn. There is plenty to see. Enjoy! Renotech Building is a young energetic company specialised in high-end residential construction. With over 10 years experience in the industry, we value a close client-builder relationship. We are a company specialising in extensions and additions. We pride ourselves on the challenges we face and overcome with each project, pushing for excellence beyond our clients expectations. We are a young honest team of builders with carpentry as our background, willing to do whatever it takes to provide our clients with the product they are after. Making sure that the highest quality of workmanship is always in place & that their property will be the showpiece they envision without any hassle or stress. Currently completing Sydney projects in 2018 and seeking opportunity to work on the Central Coast in 2020! Our builder is a highly skilled tradesman that can perform in a wide range of areas from; concreting, joinery and bricklaying to complex timber work and architectural finishes. He only engages experienced sub-contractors who have equally high standards of workmanship. Projects are managed one at a time from start to finish by the same person to ensure your building needs are our priority. Henarise has a variety of experienced registered architects or designers at hand to get your ideas off the ground and into council. Alternatively, we look forward to work with already approved plans or engaged architects/designers/draftsmen. Good communication between the client, architect and builder is held paramount to us, it ensures all decisions made are thoughtful and in the clients/projects interest. Punctual invoicing and constant cost analysis are par for the course in all our residential projects, large or small. Henarise is a professional company always striving for high standards in both building and customer satisfaction. We are a member of the Master Builders Association and adhere to the National Code of Practice. The decision to renovate your home is an investment in time and money. It’s a process. It’s as exciting and creative a process as you want it to be, but either way it’s one that can be daunting, surprising and often challenging. Not to worry. We are on the journey with you from start to finish. You have our word. We’ll smooth the bumps, regularly report on progress and remain transparent along the way. Communication is one of our strengths. We talk to our clients, listen to your concerns, and work out the best solution. That’s how we tick. While being across the detail comes naturally, we know it also matters to you. We encourage our clients to enjoy a collaborative partnership. We may be the experts but always welcome fresh ideas and new design challenges. This pushes results to reach their optimum and makes for happy clients. We like that! At Mink Building Group we thrive on honesty, creativity and producing quality, cost effective outcomes one project at a time. We’re the full package – decent blokes, cross-disciplinary expertise, customer service and competitive prices. Together this defines our difference. Leibke Projects is an Award winning building and construction company, that specialises in custom new builds, 2nd- storey additions and large-scale renovations. We place high importance in the initial design and consultation phase to ensure we gain a clear understanding of our clients needs and aspirations while also allowing our clients a sense of recognition for the depth of the project; this provides all parties with the opportunity to gain a realistic perception of the process ahead. The team at Liebke Projects has a great depth of experience and industry knowledge behind them, which provides a strong foundation to consistently and successfully deliver the highest quality workmanship on all projects. With years of experience in the building and construction industry, we have seen trends grow and change, so whether clients are extending their home to gain the extra space or renovating to modernise the existing look , we have the background, expertise and experience to achieve those goals. We strive to provide our clients with quality assurance, cost effective choice and seamless correspondence throughout the entirety of each project, to ensure we meet our clients’ needs and expectations. We pride ourselves on being the highest quality, flexible and experienced knockdown rebuild specialists on the Northern Beaches and North Shore, Sydney. Whether you are looking for custom home builders to help you bring your own dreams to life or utilise one of our modern contemporary or beach style designs and make some variations to it, anything is possible when you choose to build with us. Proud to announce we are the winners of the Best National Builders Award for 2016 and again this year 2017 (productreview.com.au). The best part about building with us is our ability to be flexible whilst offering competitive fixed term contracts. Not many building companies can offer customised homes with fixed term contracts ensuring you will always know your home will be delivered on time and on budget. As your local knockdown rebuild specialist, we will always provide flexibility, certainty, and assurance that you will be looked after from the moment you make contact right up until the hand over of your new GJ Gardner Homes. With over 25 years experience in new home building in Sydney’s Northern Beaches, we have an exceptional insight with up and coming design trends in the local area - Beach Hampton's style is our specialty, but we also build stunning contemporary homes as well. Whether you’re undergoing home renovations or building from scratch, hiring the right home builder is essential. Your choice will determine the quality of craftsmanship, as well as how high your stress levels rise! A home design or building project is a huge and multifaceted undertaking, so it’s important to find a local Castle Hill, New South Wales builder you can trust to bring your vision to life and keep the process under control. The Houzz professional directory of home builders is a great starting point to choose the right builder for your needs. What exactly do Castle Hill, New South Wales home builders do? Before any nails are hammered down, construction companies perform market research to determine whether the prospective site for a new home in Castle Hill, New South Wales makes sense. They also survey the land to make sure it is suitable for construction, and obtain any necessary New South Wales permits. Scroll through this page to find contractors in Castle Hill, New South Wales. Then, click on a professional to browse photos of their latest projects and see how their work compares to the scope of your project. Read reviews to see how other homeowners rate their work, and message the home builder or construction company directly to ask any specific questions.